The system requires a windows computer at the K3 end running the server software. At the other end a windows computer is needed running the client software. 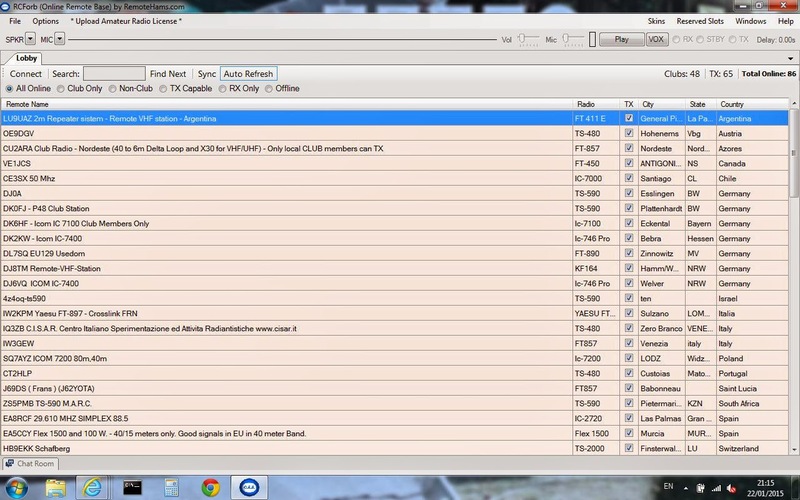 The computer can either display a radio front panel or drive a K3/0. Note in the list of rigs above the variety of rigs available. 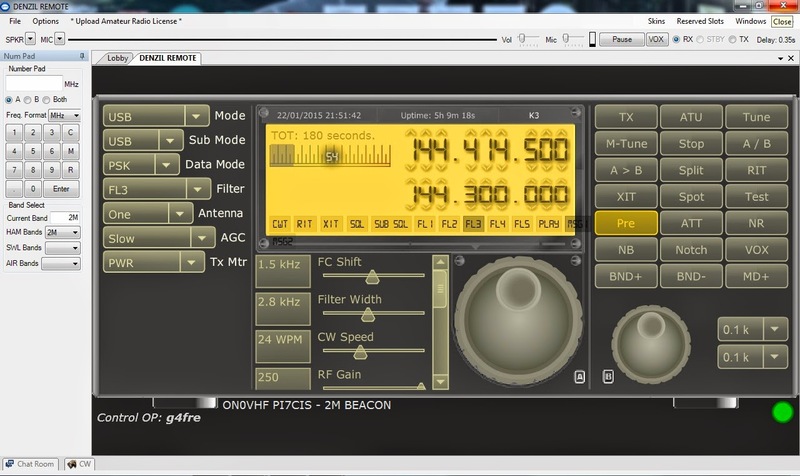 The software supports other rigs than elecraft. I used the KG6YPI (the software writer) remote again to get familiar with the client software. Next I installed the server software. For this I used an Acer V5 laptop. Audio connections to the K3 were made using the LIN IN/OUT on the back of the K3 using the method of my writeup along with a serial connection to the K3 serial port. The audio and rig settings under <options> on the server were adjusted appriately adjusted. The 4 ports mentioned in the server documentation were opened and the server launched. Even though I allowed Upnp on my router the server software never found/used it. The received audio came out of the Dell laptop.The rig could be tuned band changed and, as I had given myself transmit priveleges I could also transmit. 1. Under >publishing> on the server if "visible on remotehams.com" is unclicked the server will not appear on the list of available servers on everyones list. If you have a fixed ip this information can be entered under <file> <new connection> allowing a connection to be made more easily.